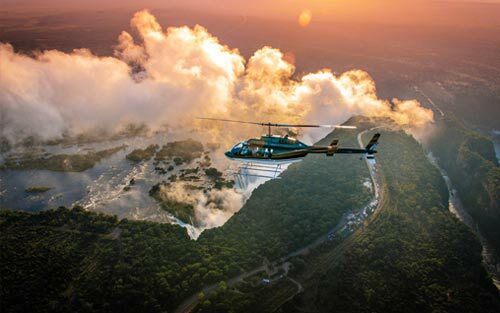 Experience a bird's eye view of the magnificent Victoria Falls, Zambezi River and Batoka Gorge on these epic Victoria Falls Helicopter Flights. A helicopter flight over the magnificent Victoria Falls is a once in a lifetime opportunity not to be missed. The sight of the thundering waterfall from the sky will leave you awestruck. Soar above the towering wall of mist created by the Victoria Falls, and be mesmerized as you witness the largest sheet of falling water in the World. Take a moment to appreciate this natural wonder and absorb the scenes that will not quickly fade from memory. And don't forget to take advantage of the numerous photographic opportunities you will get as you experience this helicopter flight over the Victoria Falls. Choose from the most popular Flight of Angels (13 min) helicopter flight or explore more of the Victoria Falls area on the longer Zambezi Spectacular (25 min) helicopter flight. Why not add on a few extra activities while booking your Victoria Falls Helicopter Flight. Choose from adrenalin packed helicopter flight combos to a relaxing Victoria Falls helicopter tour combinations like a Zambezi River Sunset Cruise. Book your helicopter flight in Victoria Falls now and save with these discounted activity combinations!!! What Is The Cost Of The Helicopter Flights In Victoria Falls? View the cost of the helicopter flights in Victoria Falls in the table below. Please note that charter flights are an option and are quoted on as requested. 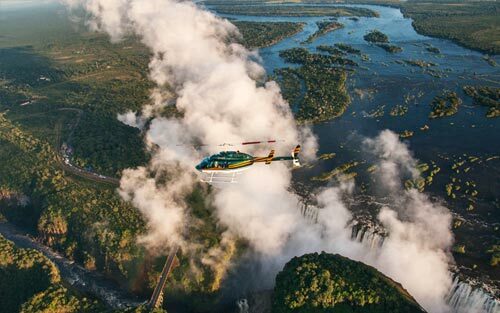 When booking the Victoria Falls helicopter flights it is important to know what is included and what is excluded from the helicopter flight price. A helicopter flight is a must do activity when visiting Victoria Falls. That is why we offer a number of helicopter flight options for you to choose from in Victoria Falls, as we wouldn't want you to miss out. Choose the most popular Victoria Falls Helicopter Flight Of Angels and experience "Scenes so lovely they must have been gazed upon by angels in their flight" as described by David Livingstone. Or fly a little longer with the Zambezi Spectacular Victoria Falls helicopter flight and get to see the impressive Batoka Gorge and Zambezi National Park. Experience a bird's eye view of the magnificent Victoria Falls, Zambezi River and Batoka Gorge on this epic Victoria Falls Helicopter Flight. The "Flight of Angels" is the most popular helicopter flight in Victoria Falls. You will arrive at the helicopter pad that has a magnificent natural backdrop of the Victoria Falls in the distance. One of the friendly staff will give you a short but informative safety briefing and point out your helicopter flight path on a wonderfully illustrated map. View the Victoria Falls, Batoka Gorge and Zambezi National Park in this epic Zambezi helicopter flight. Exactly as the name suggests, this flight is Spectacular! 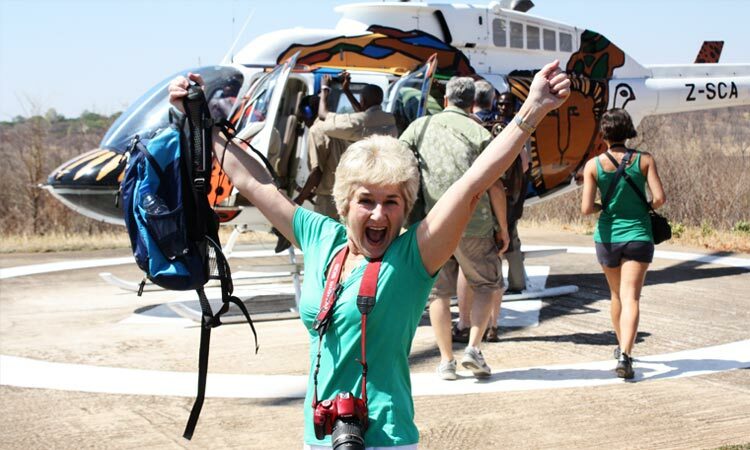 The 25 minute Zambezi Spectacular helicopter flight is exactly as the name suggests: Spectacular! This helicopter flight will initially take the same route as the shorter Flight of Angels. But instead of heading home after viewing the Victoria Falls, you will fly further down the impressive Batoka Gorge and contrasting landscapes. See how the Victoria Falls have carved massive cracks in the earth over millions of years. Once you have seen the Batoka Gorge you will fly back over the Victoria Falls and head up the Zambezi River. Once you are a fair distance upstream the helicopter will turn left and fly over the Zambezi National Park. Here you will have the opportunity to spot some big game such as elephant, buffalo and many antelope species. Once you have hopefully spotted some wildlife you will make your way back to the helicopter pad. Once you have landed safely you will have the opportunity to view some photos and a video from your trip. These photos and DVD's of your helicopter flight are available for purchase. Thereafter you will be dropped back off at your accommodation to prepare for your next Victoria Falls adventure. Bell helicopters are used exclusively for the Victoria Falls helicopter flights. Bell helicopters are considered the safest helicopters in the world and are recognized as the world leaders in the helicopter industry. This is why these helicopters are used for the helicopter tours in Victoria Falls. For more information on Bell helicopters please visit the Bell Textron website. The JetRanger has stood the test of time and proved itself around the world in all applications, including scenic helicopter flights over Victoria Falls. The JetRanger helicopter is rugged and reliable and comes with the best safety record of any helicopter in the industry. The JetRanger is the most popular turbine helicopter ever built. The bigger brother to the legendary JetRanger, the LongRanger is an excellent combination of power, space and range. The innovative door design and spacious cabin make the LongRanger helicopter ideal for longer aerial photography and film shoots. 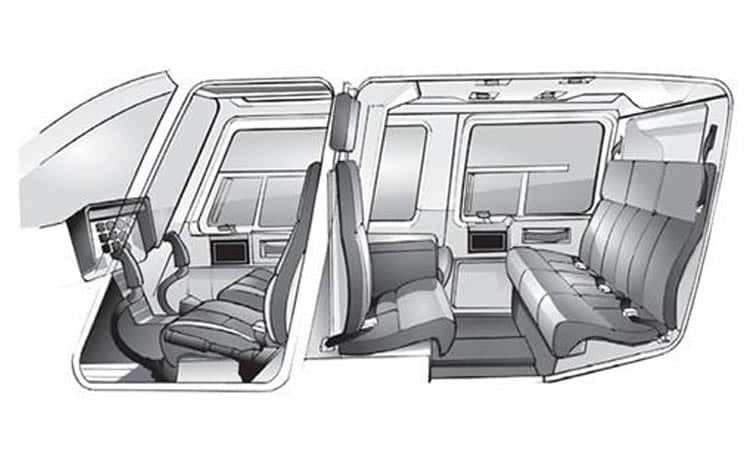 And of course, excellent for passengers to fly in comfort as they witness the magnificent Victoria Falls. All the helicopters used for the famous Victoria Falls helicopter flights are maintained to the highest industry standards. These Victoria Falls helicopters are maintained under the strict rules governed by CAAZ (Commercial Airline Authority of Zimbabwe). Bell Textron are the manufacturers of the Victoria Falls helicopters and an authorized schedule of service is carried out in conjunction with the South African Maintenance Organization. Servicing and maintenance is carried out by a highly qualified team from the National Aeronautics Company (NAC). See some additional frequently asked questions about the Victoria Falls helicopter flights. What is the min age allowed on the helicopter flghts? We accept guests of all ages on the Victoria Falls helicopter tours. Children over 2 pay full price for the helicopter flight and children 2 and younger are free. What is the max weight allowed on the helicopter flights? Weight is taken per helicopter and the maximum weight per helicopter is 600kgs. 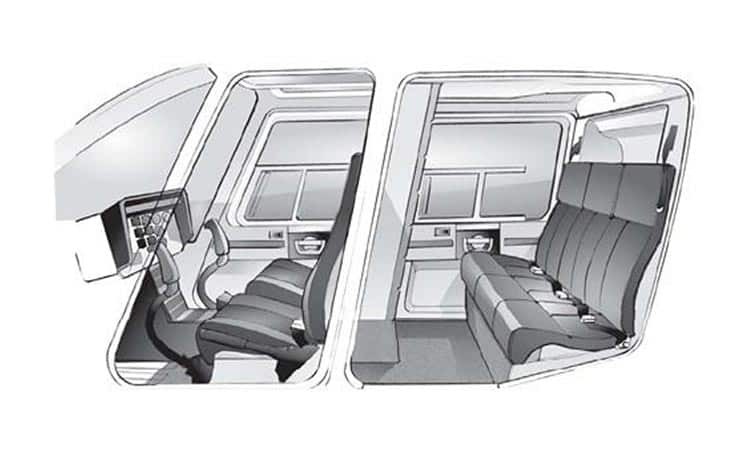 The front seat of the helicopter can only take up to 95kg. Do we still do the helicopter flight if it is raining? Your safety is our main concern. Your Victoria Falls helicopter flight may be delayed due to weather conditions. Normally rainstorms only last about half an hour, so be patient, we will try to ensure you get to experience this magnificent flight. Can I purchase a video of my Victoria Falls helicopter flight? When is the best time to do the helicopter flight in Victoria Falls? The water level of the Zambezi River varies remarkably throughout the year. The Victoria Falls region receives seasonal rainfall, and therefore the amount of water flowing over the Victoria Falls changes drastically. The water level is at its lowest point around November each year. At this time of year the water falls mainly in the deeper section of the river on the Zimbabwean side of the Falls. During the low water season some areas of the Zambian side dry up completely leaving a gigantic crack of exposed bare rock in the earth. This may not be as spectacular as the Victoria Falls in full flood. So which time of year is best to experience a helicopter flight over the Victoria Falls? Each water level has its advantages and disadvantages. But one thing to remember is no matter what time of year you fly, the sight of the Victoria Falls from a helicopter is a magnificent and awe-inspiring spectacle. During the Jurassic Period (150-200 million years ago), volcanic activity resulted in thick basalt deposits covering large parts of Southern Africa. As the lava cooled and solidified, cracks appeared in the hard basalt crust, which were filled with clay and lime. Erosion and the course of the mighty Zambezi River cut through these softer materials, forming the first of a series of waterfalls. The Victoria Falls helicopter pad is conveniently located within a few minutes drive from any hotel in Victoria Falls. Perched on the edge of a hill near the Elephant Hills hotel, your helicopter trip in Victoria Falls starts off with a fantastic view. We understand that time is precious on your safari and none is wasted in getting you to and from your hotel and on to your next Victoria Falls experience.